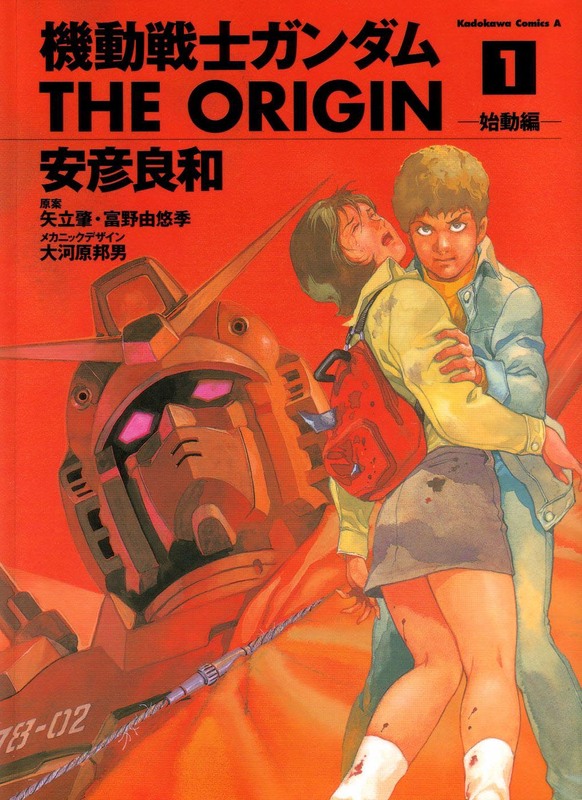 This month’s issue of Kadokawa Shoten’s Gundam Ace magazine announced that Yoshikazu Yasuhiko’s manga adaptation of the original Mobile Suit Gundam television series entitled Mobile Suit Gundam: The Origin would itself be adapted into animation. Yasuhiko was a character designer and animation director on director Yoshiyuki Tomino’s 1979 Mobile Suit Gundam television series and has also worked on many other Gundam projects; his most recent contribution being character design work on the ongoing Mobile Suit Gundam Unicorn OVA series. The announcement does not mention whether this adaptation of The Origin manga will be a film, OVA, or television series, stating only that a ‘anime project’ has begun (much like how the new Berserk and Rurouni Kenshin ‘anime projects’ have recently been announced). This month’s issue of Gundam Ace also celebrated the 10th anniversary and final chapter of Yasuhiko’s The Origin manga. This announcement comes just a few weeks after Bandai announced Mobile Suit Gundam AGE television series for children. This new project clearly seems geared towards older fans of the franchise and will hopefully be more warmly recieved than Gundam AGE’s announcement. Personally, I feel as though The Origin will take form as a film series as Gundam AGE will be airing in October on television and Gundam Unicorn has a firm hold on the direct-to-video market. Only time will tell though and I for one am looking forward to this new interpretation of Yoshiyuki Tomino’s masterpiece. Also, I would love to know if Tomino has anything to do with this new project, and if he doesn’t, how he feels about this new project. This entry was posted in Anime, Mobile Suit Gundam and tagged Bandai, Gundam Ace, Gundam AGE, Gundam The Origin, Gundam UC, Gundam Unicorn, Kadokawa Shoten, Kazuhiro Furuhashi, Mobile Suit Gundam, Mobile Suit Gundam: The Origin, One Year War, Sunrise, Universal Century, Yoshikazu Yasuhiko, Yoshiyuki Tomino. Bookmark the permalink.